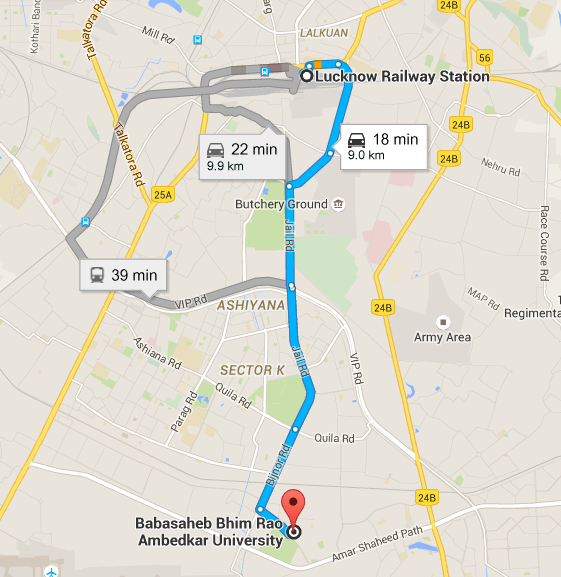 Venue of the meeting is at Baba Saheb Bhimrao Ambedkar University, Vidya Vihar, Raebareli Road, Lucknow – 226025. It is situated at about 10 km. away from Charbagh Lucknow Railway Station. The Lucknow Railway & Bus Stations are close to each other. Hence the map will hold good for comrades arriving from either mode of transport. The Choudhary Charan Singh International Airport is also near to the meeting place. It is hardly 5 to 6 Kms. away from the venue.